Analysing an opposition's weaknesses, determining favourable one-on-one battles and executing a long-term vision are all responsibilities that rest on the shoulders of a head coach and it's no different in Official Fantasy Bundesliga. With three transfers available between every matchday it would be wise to capitalise on the opportunities this affords. Chief among them, rotating players in and out based on their upcoming encounters. Therefore, I've done you a solid and picked out four sides with favourable fixtures this weekend. It's funny how a summer break can alter a side's fortunes. While Eintracht Frankfurt staved off relegation by the skin of their teeth last season, SV Darmstadt 98 proved hard to beat as they avoided a similar fate. Coming into the Hessen derby - a fixture the away side won on both occasions in 2015/16 - it appears the roles may be reversed. The Eagles caused the biggest upset on the opening weekend, beating FC Schalke 04 1-0, and will be confident of grabbing a similar result against the Lilies, who were poor in a 2-0 loss to 1. FC Köln. Winger Mijat Gacinovic (5.1M, 10pts), a constant threat, was deservedly highlighted by Flo 'The Scout'. It may also be worth considering Guillermo Varela (7.1M, 8pts), a marauding right-back, who will likely pick up points for a clean sheet against a Lilies side lacking a real goal scoring threat. Up against newly-promoted SC Freiburg they could well maintain their average of three goals a game in 2016/17, but will also be confident of preventing their hosts from finding the back of the net themselves. The likes of Oscar Wendt (11M, 6pts) and Andreas Christensen (13M, 6pts) are solid options, especially when you consider that Gladbach’s next three games are against SV Werder Bremen, RB Leipzig and FC Ingolstadt 04. No Javier 'Chicharito' Hernandez, no Kevin Volland! A head coach's worst nightmare, but what it does is open the door for other Bayer 04 Leverkusen players to seize an opportunity. Admir Mehmedi (10M, 2pts) and Karim Bellarabi (14.1M, 8pts) are the most likely to profit against a backline that conceded 46 times last season. Leverkusen lost 2-1 to Gladbach on the opening day of the season and will be intent on bouncing back in their first home game of 2016/17. Their opponents this weekend, Hamburger SV, were far from convincing in their 1-1 draw with FC Ingolstadt 04 and Jonathan Tah has the qualities needed to keep Bobby Wood quiet. 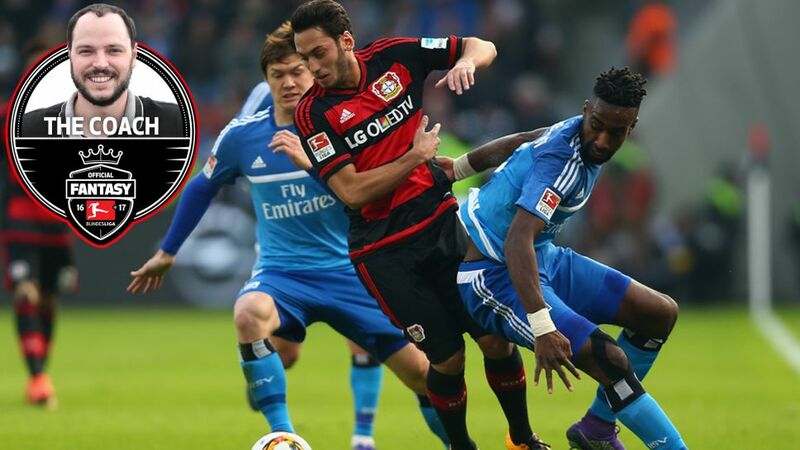 If Leverkusen can click into gear, even without two star names, then a victory should be on the cards. Leipzig were far more enterprising going forward than they were resolute at the back, but taking on a Dortmund side intent on dominating possession presents a very different challenge. Andre Schürrle (13.2M, 15pts) and Marc Bartra (11M, 6pts) offer worthy investments in midfield and defence respectively and, with home games against Darmstadt and Freiburg straddling a trip to VfL Wolfsburg in their next three fixtures, BVB players are worth keeping in the long-term.